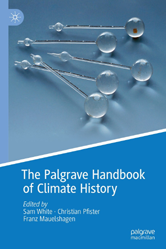 This handbook offers the first comprehensive, state-of-the-field guide to past weather and climate and their role in human societies. Bringing together dozens of international specialists from the sciences and humanities, this volume describes the methods, sources, and major findings of historical climate reconstruction and impact research. 9.1 Why Do We Need to Homogenize Instrumental Data?